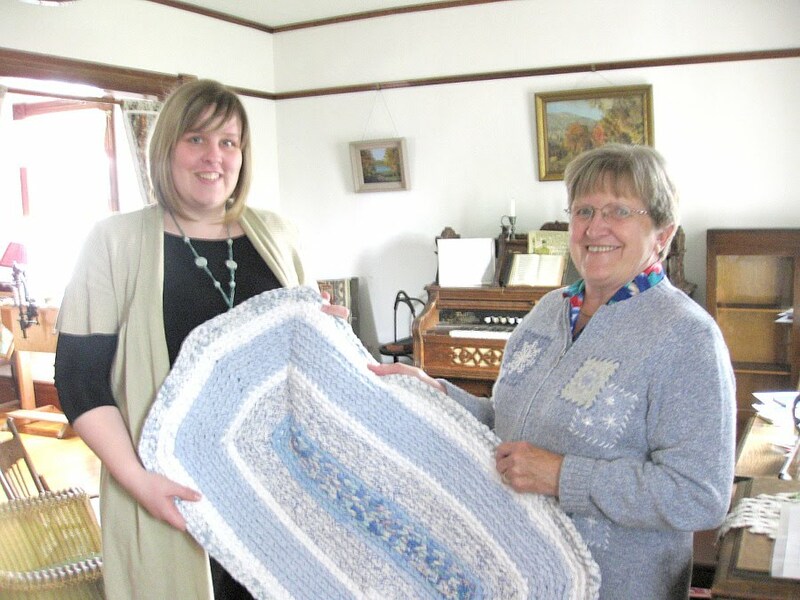 Lacombe & District Historical Society: A beautiful donation! It was dreary and rainy in Lacombe today, but the smiles of Al and Jennie Machacek visiting from their hometown, Lethbridge, made the museum a brighter place. 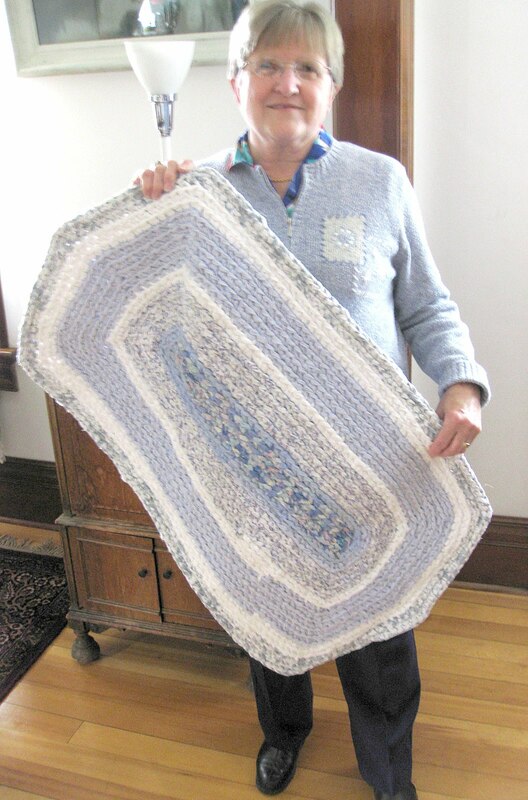 Jennie donated to the museum her 126th crocheted rag rug, which will be displayed upstairs beside the Michener bed. Thank you Jennie and Al for the wonderful visit! There's quite a bit of information available on the web about making crocheted rag rugs. There is a variety of cloth materials that can be used to make up the rug as well. The donated rug was made from bed sheets that were found at garage sales. It is truly a piece of practical art!